Kundali Software: The Ultimate Vedic Astrology Horoscope Software, Match Making, Janam Kundali, Janma Kundli, Predictions. Life, Education, Wealth, Family, Mother, Father, Children, life-Partner, Brother Or Sister, Religion, Accidents, Foreign Travels, Vehicles, Gains, Losses etc. 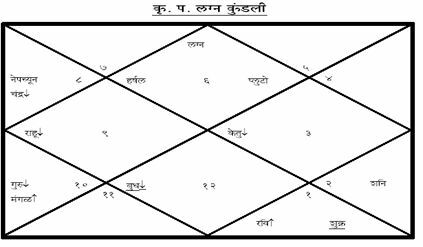 KP-System Horoscope, KP Significators, Planet Relations, Compatibility Table, Favorable Points etc. Sudarshan Chakra, Western Horoscope, Shodash-Varga (16 charts), Shadbala, Ashtakvarga, Vimshotari Dasa-Antar And Praatiantra, Ashtotari Dasa- Antradasa, Sade-Sati. Developing Astrology Software since Eighteen Years. Dot Matrix / Inkjet / Laserjet with On-Screen View Facility. Recover the cost of your Computer by offering Accurate, Attractive Computer HOROSCOPE Services. Profitable Business. • What is KP System? • Which system of prediction is best? • What is Vedic Astrology? • What are the Advantages of Astrology? • What Birth Details do you need? © 2018 Kundali All rights reserved.